 Welcome to the joint FAO-UNITAR online course on "Trade, Food Security and Nutrition"
Ending hunger and all forms of malnutrition by 2030 is a key objective in the Sustainable Development Goals – and trade is one of the means for achieving it. As patterns of consumption and production continue to evolve, global trade in agricultural products is expected to continue to increase over the coming decades. Trade will increasingly influence the extent and nature of food security across all regions of the globe. The challenge, therefore, is how to ensure that the expansion of agricultural trade works for, and not against, the elimination of hunger, food insecurity and malnutrition. In the countries of former Soviet Union, trade plays an important role in ensuring availability and variety of food and as a source of income from expanding exports. The political and economic transition in the these countries was accompanied by greater integration in global markets. This created new opportunities for agricultural trade. The region plays an increasingly important role as a supplier of agricultural commodities to world markets, in particular grains and oilseeds. Europe and Central Asia is now the region with largest net agricultural exports after North and South America, and the volume of agricultural net exports from the region is expected to increase further by 25 percent over the next decade. To facilitate participation in international trade, the majority of the countries have joined the WTO after gaining independence, and many countries participate actively in regional and bilateral trade agreements. At the same time, malnutrition, in its various forms (undernutrition, micronutrient deficiencies, and obesity), is present to varying degrees in all countries of the region, with relative weights gradually shifting from undernutrition to overnutrition. Dietary changes, as part of broader lifestyle changes driven by growing incomes and accelerating urbanization, explain these trends. However, trade, through its impacts on food systems, also influences consumer choices and the ultimate composition of diets. In this context, changes in market structures, driven by the broader economic policies, including trade measures, can have important implications for food security and nutrition through effects on prices, variety and quality of available food, as well as incomes. This course seeks to strengthen capacities in the post-soviet countries to develop and implement trade policies, taking into consideration their implications for food security and nutrition. OECD/FAO (2017), OECD-FAO Agricultural Outlook 2017-2026, OECD Publishing, Paris.